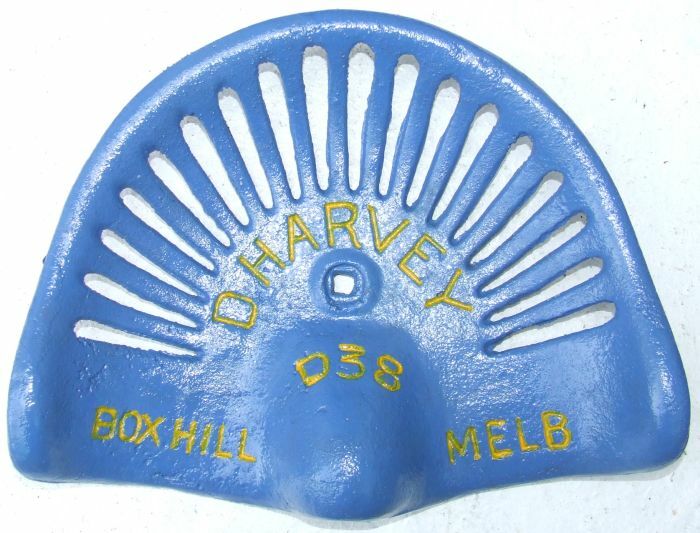 Malleable Spanner maked "HARVEY Ltd R173" "
Cast Iron Spanner marked "DANIEL HARVEY Ltd / WES 181 "
Cast / Malleable Iron SOE marked "DANIEL HARVEY Ltd / BOX HILL MELBOURNE"
Cast spanner marked "DANIEL HARVEY / BOX HILL HO65"
Cast spanner marked "DANIEL HARVEY / BOX HILL - Note - identical to the one above but no number (HO65)"
Forged spanner marked "HARVEY / DP153"
Historical information is hard to find relating to Daniel Harvey. 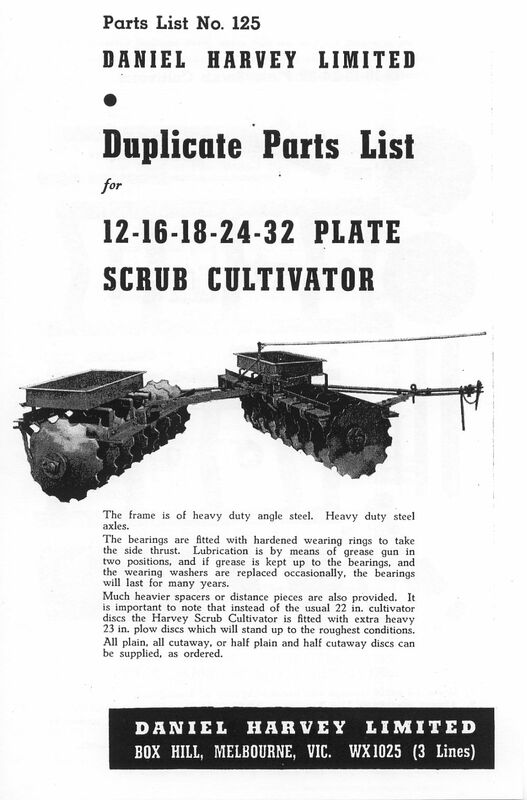 Started business in 1910 as an agricultural implement foundry. 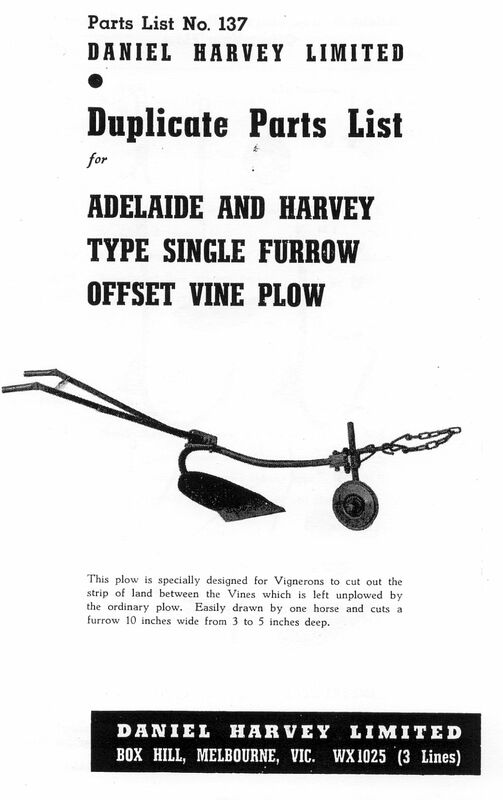 Made all sorts of cultivating implements. 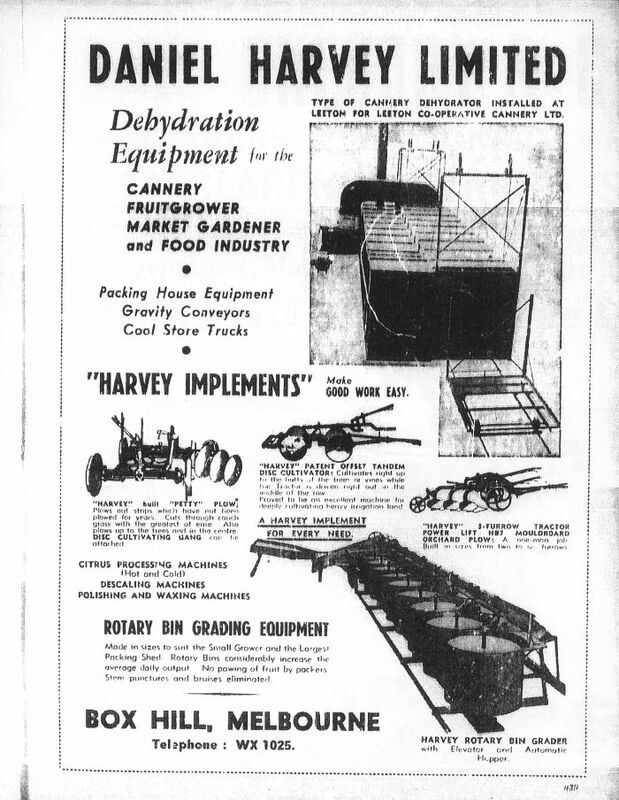 I have found d Harvey listed in S & M Directories up to 1946. 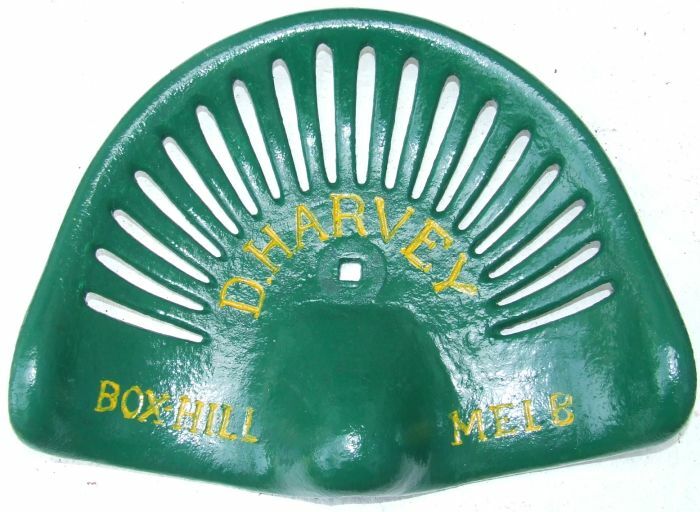 Daniel Harvey was the 5th son of Malachi and Elizabeth Harvey, he was raised in Mysia, Victoria where his father had a farm, he had 10 other brothers. He was born on 8/8/ 1879 or 80, we have not been able to track down his birth certificate, possibly in NSW but as Malachi was illiterate he may simply have neglected to register him. His mother was educated and insisted that all the boys got some education. When he left school he was apprenticed to a Blacksmith. The Wedderburn Goldrush caused his boss to go the fields without paying him his last wage so Daniel rode his bike down to Wedderburn collected his pay then rode onto Melbourne. He got employment at H.V.McKay and worked there for a period until the late 1890's as far as I can find out. He was boarding at Templestowe and started doing odd job repairs for the local orchardists, the local Blacksmith died and Daniel was offered the job by his widow ?Mrs Hillier ( I think that was her name). 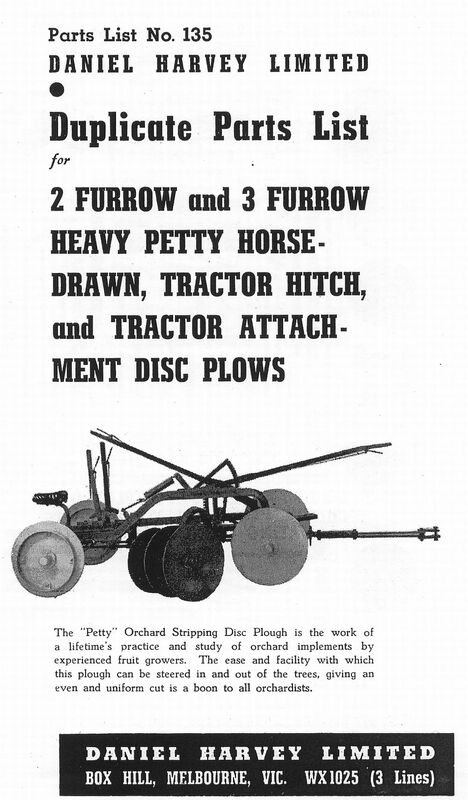 As he repaired various ploughs etc. he started to figure out improvements the local Orchardists in particular a Mr Petty supported him possibly financially and he bought the Blacksmithing shop. This was in 1900. 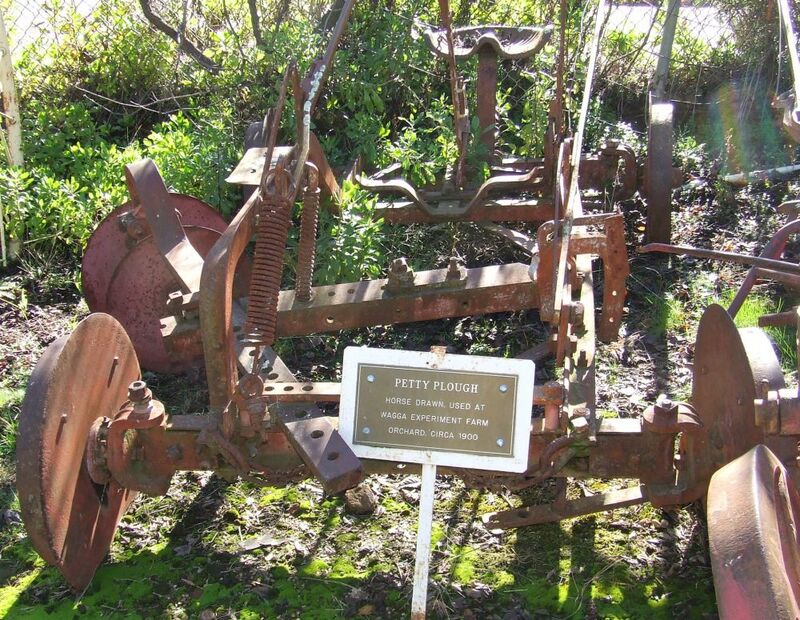 He later called one of his ploughs the Petty Plough. He married a local girl Maud Adams, they had 3 sons but only one survived his first year, this was my father Hugh Gordon, who was born in 1911 who later joined him in the business. Daniel first moved to Box Hill in 1910 and bought a tract of land on Whitehorse Rd with a cottage on it. Built his foundry and gradually expanded the business. As far as I can remember he not only made the ploughs but also the nuts and bolts, hence the need to make the Spanners to fit the tooling. When the site became too small at Box Hill he bought land in Nunawading about 1950 possibly a bit later but again it was on Whitehorse Road, with a railway backing. When Hugh died my family found a huge trunk full of old photos many on silver oxide, so we contacted the Museum and in time passed all of them over to them for restoration and filing, they are on Microfiche at the Science & Technology section of the Melbourne Museum at Spotswood. Its called "The Harvey Collection". The Museums at Templestowe / Doncaster, Hastings and Ferntree Gully also have information and artefacts. If any reader can provide additional information or images please make contact via the link below. I am a friend of Hugh Anthony (Tony) Harvey, who is a grandson of Daniel Harvey. When he was sharing my home with me as a boarder, I did some family history research for him. We found that when Daniel was born, his parents and siblings were living at a remote mining site at a place called "The Springs", near Gelantipy (East Gippsland, map coordinates 148.124 and -37.11). Daniel's birth was not registered, but other siblings close to his age were born at The Srings, or maybe at Buchan, and were registered at Buchan. Shown below arethree scanned Family Group Sheets from my Family Tree Maker database. These pages show some of the results of the research that Tony Harvey and I did several years ago. 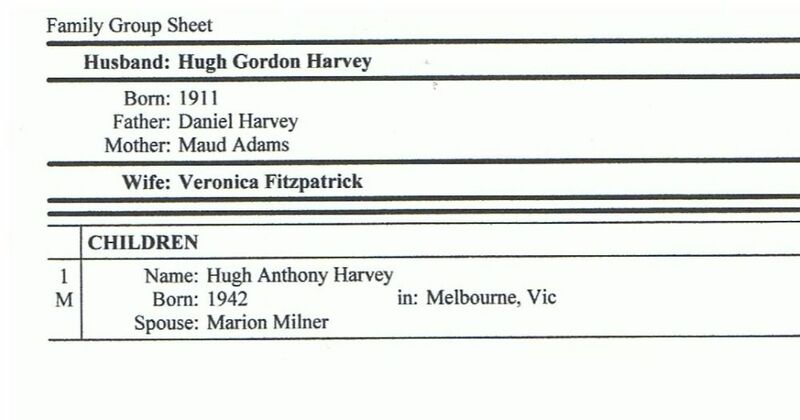 One gives details of the Malachi Harvey / Elizabeth McNally family, another the family of Daniel Harvey and Maud Adams, and the third covers the family of Hugh Gordon Harvey and Veronica Fitzpatrick (Tony's parents). 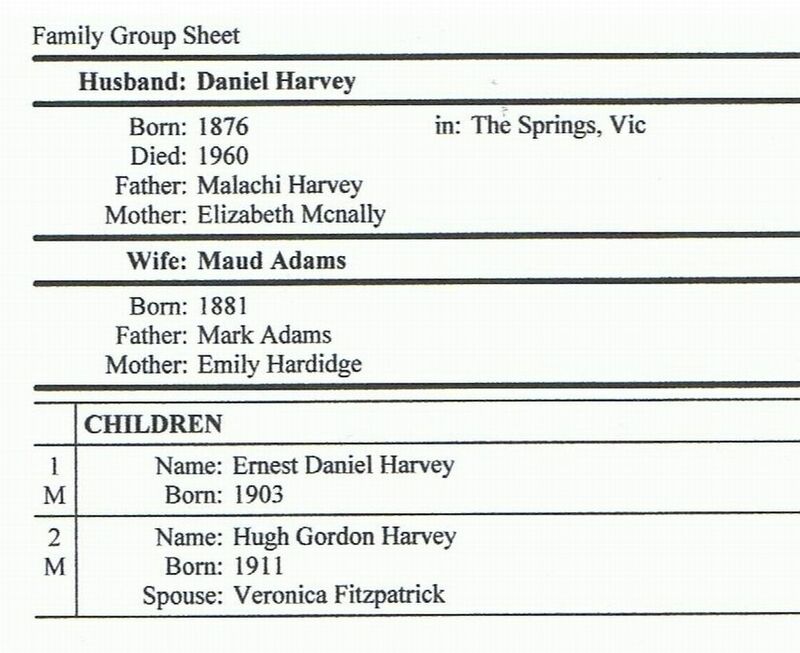 Tony always knew that his paternal great grandparents were Malachi Harvey and Elizabeth McNally and they they had lived at The Springs, Wycheproof, Boort, and finally Mysia. Please note that I do not guarantee the accuracy of the birth years of any of Malachi and Elizabeth's 13 children (all sons - maybe they kept trying for a daughter or two!!). If you would like some reassurance from official documents you will need to contact Tony, who I am sure has a few BD&M certificates to support this information I have provided to you. 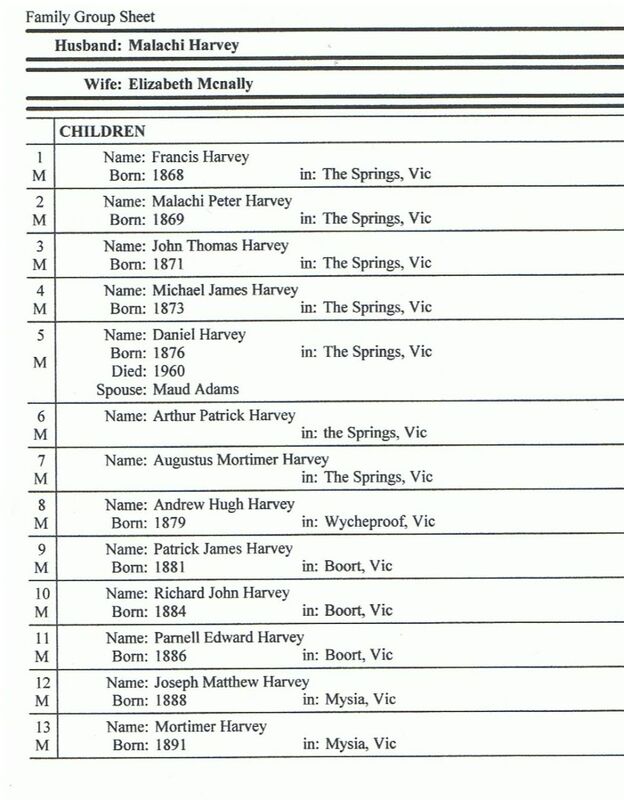 Although it was a long time ago that I did the research, I remember obtaining some certificates for Tony, and I think that he already had some others.I obtained details of the Harvey births which were registered at Buchan from my LDS database CD titled "Pioneer Series 1788 / 1888". That is how we discovered that 6 of the first 7 boys were definitely born at The Springs and their births registered at Buchan (being, I guess,the nearest reasonably accessible Registry to The Springs). As Daniel was the 5th born, it is reasonable to assume that he also was born at The Springs, but his father was (probably for very good reason) unable to Journey to Buchan at that time and have his birth registered. Regarding The Springs, I have plotted the latitude / longitude figures (which came from the Web reference "Rootsweb - Victorian Towns and Localities - The Springs (near Gelantipy)" and find that they correspond to near the east bank of the Murrindal River, near its source. I suspect that Malachi would have had to pack-horse it to Buchan via the gorges of the Murrindal and Buchan Rivers in order to get supplies and to visit the Registrar, so I can understand that he wouldn't have been keen to drop his gold-digging tools too often to make such a trip (it probably would have taken nearly two weeks to make the round trip, and regular flash flooding of the rivers may have caused some delays or postponements). An update on the location of The Springs: Due to insufficient map detail, I first thought the location was on the Murrindal River system. I now know this is wrong - it is actually on the Buchan River headwaters system. I discovered this by plotting the location S 37deg 06min 36 sec / E 148deg 07min 26sec (as given in the Rootsweb locations database) on the Land Victoria interactive map (Website www.land.vic.gov.au) and it seems to indicate that The Springs is actually located on an Eastern branch stream system of the headwaters of the Buchan River. The branch streams are known as Moss Bed Creek and Billy Plain Creek, and The Springs co-ordinates correspond with whereFalls Trackcrosses a tributary stream of the Billy Plain Creek. The Springs tributary stream branches to the right from Billy Plain Creek, when facing upstream. The mapping division covering this area is known as Wulgulmerang West. Regarding road access, this would be by 4-wheel drive only, and would be by taking the Timber Road (left turn off Barry Way when heading North from Gelantipy), then Bald Hills Road, then Mundys Plain Track, then Diggers Hole Road, and finally Falls Track. The Springs is located about 12km (as the crow flies) from Wulgulmerang Junction (where the McKillops Bridge road branches from Barry Way) in a slightly south of West direction. Of course the DSE does not allow any vehicles to use these tracks at his time of the year, because they are too soft and slippery. At some time in the future, when use of these roads and tracks ispermitted, it would be interesting to visit this historic site to study what remains (if anything) of the dwellings that the prospectors / miners (including the Harvey family) lived in. Thanks to Jeffrey Everitt, Retired Professional Engineer for sharing this research with us. An attempt to contact Tony Harvey seeking his thoughts on this family history went unanswered. Note Family Tree pages (x3) are shown below, please scroll down to view. Please make contact if you have anyfurther information or images to add. 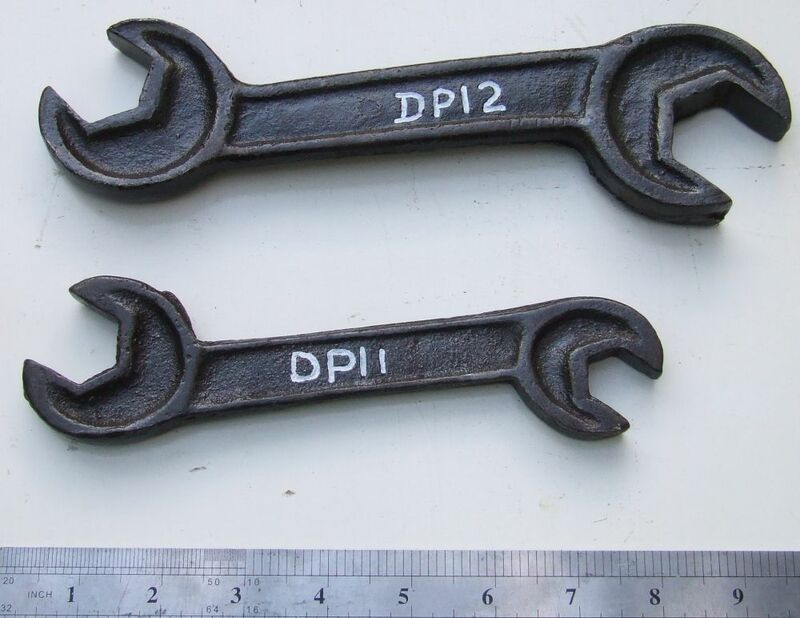 Malleable Spanner maked "HARVEY Ltd R173".